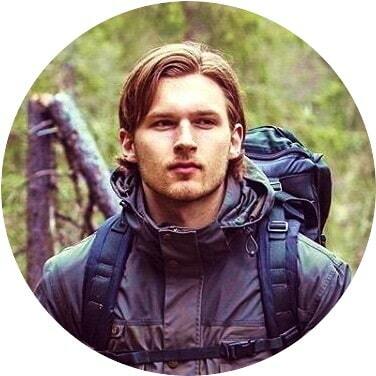 Whenever you go hiking, camping or trekking in the wild you risk getting lost. Even if you know the area where you’re roaming there may still be situations in which you may lose your track. You may decide to rely on a GPS or on your smart phone’s GPS system but you’re still relying almost entirely on technology. What if your batteries are down, if you don’t have extra batteries, if there’s no (or little) contact/communication with the satellites, etc.? There may be many factors that can make your getting back to civilization harder. For this matter many hikers and campers carry maps and compasses in their backpacks. 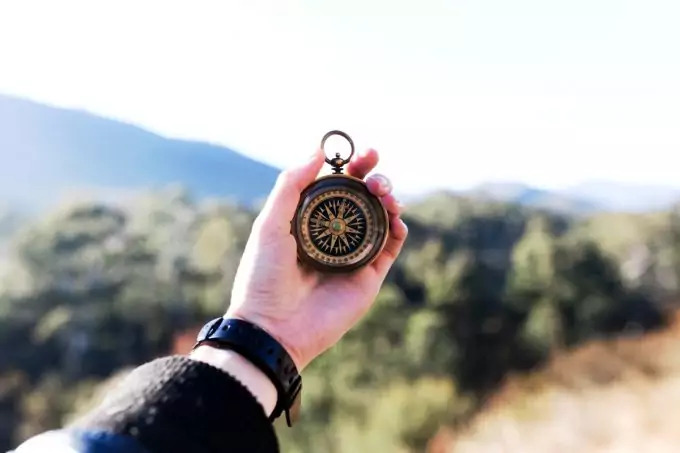 Interpreting the readings of the compass may require some skills and knowledge which is why it takes a little bit of practice to learn those, but it’s definitely worth it. This is especially true if you’re a regular hiker. You may face much more often the need to apply certain orienteering skills. 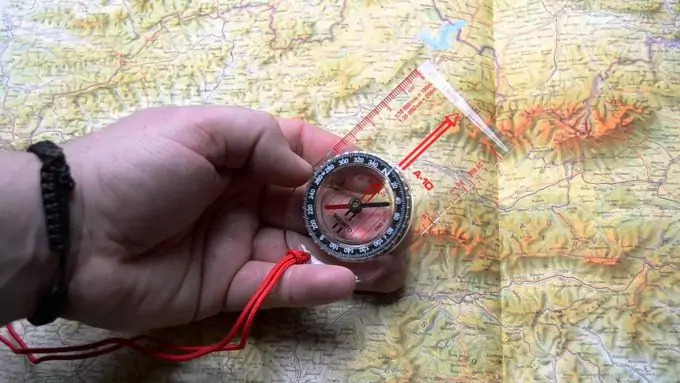 If you’re still deciphering your way with a compass and a map, let us help you by reading our in-depth tutorial on how to use a map. The basics are pretty simple. The compass is made solely of a magnetized needle, placed in a liquid of some sort. It reacts to the Earth’s magnetic field and is supposed to be able to point to the ideal north, thus helping a person orient himself, if they have a reference point or a map to rely on. First of all, thinking about compasses people usually neglect the details, thinking they are pretty simple gadgets that don’t need much explanation. This isn’t actually true since many of the details around compasses are in fact important to know, especially if your life depends on it. The needle is always magnetized and usually floats in liquid (occasionally there are non-fluid compasses, but they are cheap and usually for beginners). When talking about the fluid, you need to know that often bubble(s) may appear. This may occur during very low temperatures or if you go high in elevation. No worries, though, since as the conditions improve the bubble will disappear. The housing where the needle and fluid are is usually called a rotating bezel. The increments are very precise and are usually at every 2 degrees. The base plate is useful because it should always offer some help in reading maps, it should have inches/millimeters/centimeters on the ruler. It’s also helpful if you want to calculate or measure a distance from your current position to your desired destination. These features above are very basic and almost all compasses you come across to must have them. There are of course a few more features you can find, but they may fall in the advanced category. The declination adjustment is something not everyone knows how to use, hence it falls into the advanced section. You can adjust the compass to take into account the magnetic declination. The idea is that true north and the magnetic north are about 1000 miles apart from each other. This makes measuring the north slightly trickier. With the declination adjustment, you can turn a switch on near the lanyard of your compass and take the measurement, and thus adjust the magnetic needle to the magnetic north. This adjustment must be made every time you go hiking/camping in a new area, since the magnetic pole isn’t something static and moves with the years. The perfect geographic north is a static concept in geography. Advanced compasses also have mirrors. They help in improving the bearing (your destination), and can be of help in other situations if you’re lost. You can use the mirror to send visual signals, to light a fire, etc. You should also have a magnifying glass along with an advanced compass. It helps reading small letters, numbers and legends on a map. Another nice feature of these compasses is the illuminated elements – these are usually the needle and the four directions on your rotating housing. Clinometers (also called Inclinometers) are added to help you calculate and measure vertical objects, slopes, hills, cliffs, etc. This helps measuring angles and thus can be helpful in case you need to know the risks of avalanches (around 30 degrees and above). Due to the differences in the north and south hemispheres, some compasses made for northern use may be inaccurate used in the southern hemisphere. In advanced compasses there is the so-called global needle that can compensate for the differences in the magnetism and be used just as accurately in both hemispheres. Finally the lanyard is a cord that can be used to attach the compass on your belt, tie it around your hand, place it on your neck, etc. It’s for the sake of comfort and ease of use. 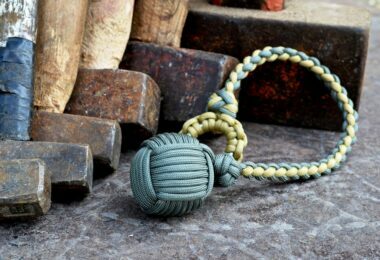 If you don’t have one, you can always make it yourself out of paracord. We have a step-by-step tutorial on how to make a lanyard out of paracord that will help any beginner in the niche. 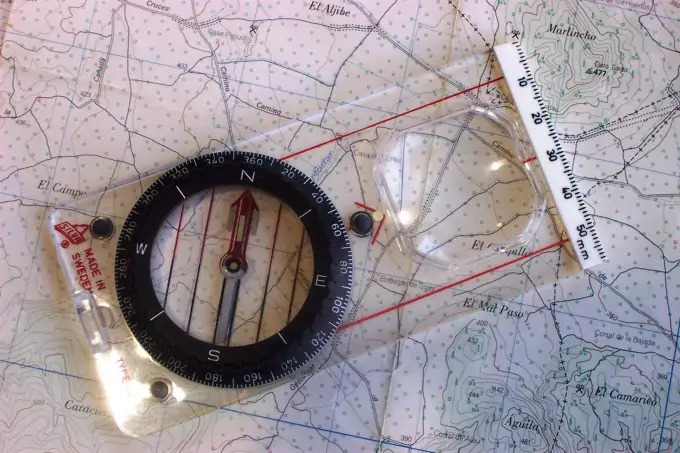 In this section we’ll take a look at some of the best compasses on the market and how to make sure you’re getting what you’re paying for. This one is both cheap and yet reliable. 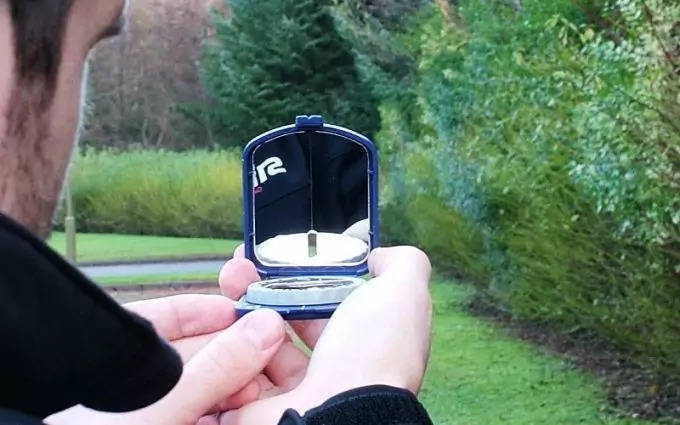 Many hikers and outdoors enthusiasts prefer the use of this compass. It is very easy to use, the needle orients very quickly. There is an additional scale under the needle when in order to achieve further declination correction. It also supports two-zone reading that covers the entire north hemisphere. The readings are both in centimeters and inches (North America’s and Europe’s measuring systems). It has a detachable lock for the lanyard. What’s also good about this compass is that it has all the necessary features for a skillful and knowledgeable hiker to find his/her way home. It doesn’t have too many extra features, which may burden the owner and confuse him/her more. The needle isn’t put in any liquid and is basically floating in air inside the rotating housing. This is good since most liquid compasses may crack and let some air flow in, thus forming bubbles. Bubbles may make it harder for the needle to point to the perfect north, so bubbles are always a problem for campers and hikers. With Suunto A-10 compass you wouldn’t have these problems. This one is slightly more advanced than the first in our list. It has a mirror that is helpful when looking for accuracy. Having a mirror also can help you being found if used as a signaling device. It is light-weight, which may make it slightly more fragile than some other compasses. It also has a whistle, which is a nice addition if you’re lost and need to be found. 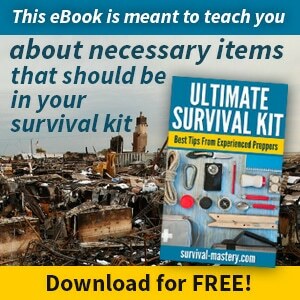 You basically have two signaling systems – light and sound. Otherwise all the other basic and necessary features are present in this compass as well. It snuggly fits the palm of an adult and is compact in size and weight. 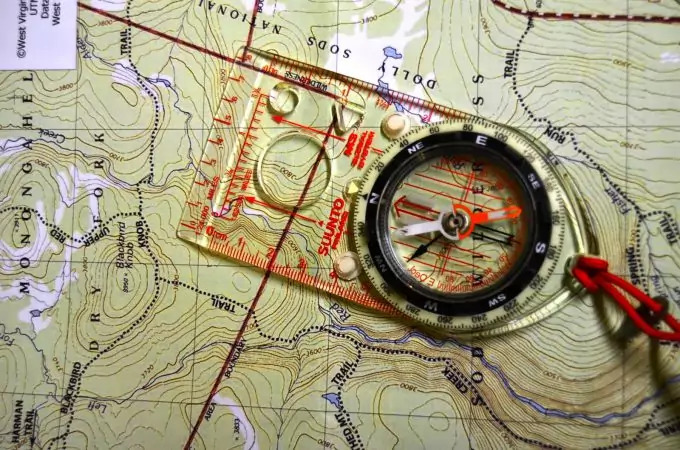 This compass is as good as the Suunto A-10. Its needle responds quickly to measurements and if used with a good topographic map, you won’t have a problem finding your destination. There is also a lanyard, which makes it comfortable to wear. The declination is adjustable, which is great, since many advanced compasses often lack this option. There is also phosphorescent illumination on the housing, which makes it easy to use in the dark, and if you don’t have any other artificial light. As the name of this compass implies, you can use it anywhere on the globe as it is calibrated according to where you travel. It doesn’t have the specific needle adjustments often made for compasses on the northern hemisphere. 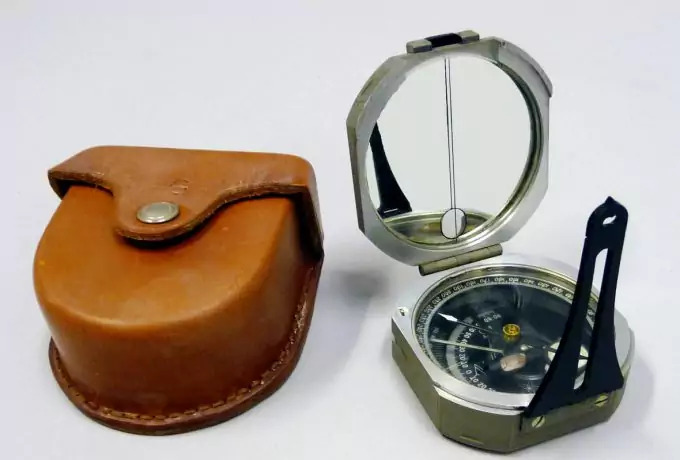 All the other features for a basic compass are present, including several more advanced, like the declination adjustment and the magnifying glass. The rulers read both centimeters and inches. As an extra, there are rubber ‘legs’ on the base plate to make it stable when placed on your hand, to avoid slipping. When it comes to customer reviews, this one rates very high among customers. 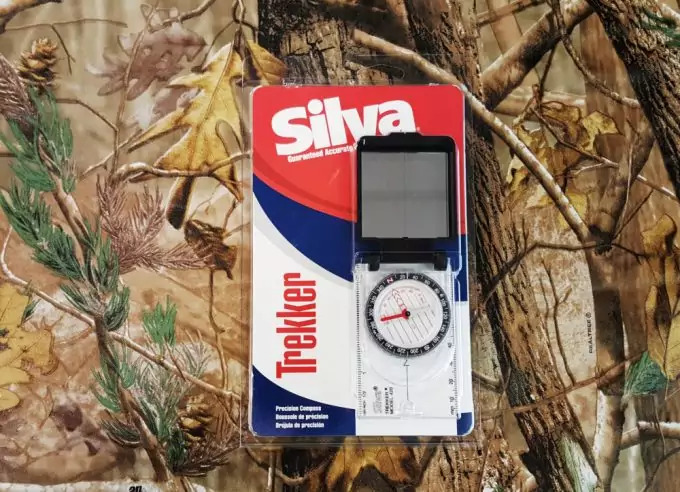 From beginners to senior hikers, including military and army personnel, claim they use this compass with ease, it’s reliable, durable, and very accurate. It’s a recommended product, for the price and quality it delivers. This compass has a mirror as well, thus helping with the readings (bearings) when you’re trying to navigate to your intended location. It also has a declination scale, including measurements of inches and centimeters. The mirror has a 4-stop positioning (in the V-shape) which helps with the bearing. The compass has 2-degree gradations for more precision. 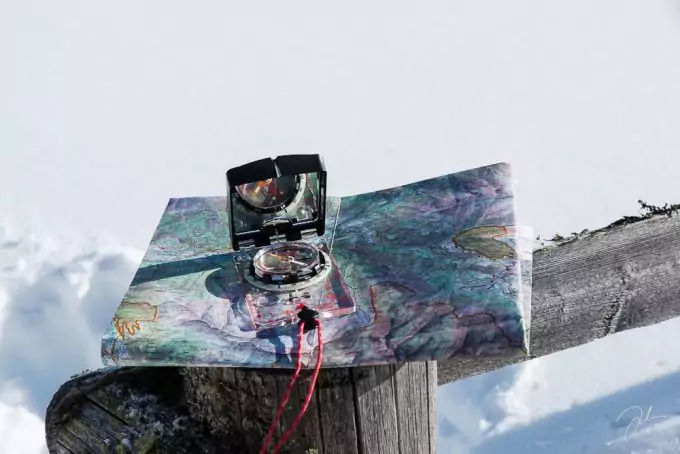 Of course, for many reasons having a compass with a mirror is much more appreciated by hikers and campers, as a mirror can serve a lot of purposes – from easy navigation, to signaling if lost, and many other needs, including the basic need for a shaving mirror or other such necessities. This one is slightly higher in rating than the others above. It is considered a professional tool for navigation and orienteering. It has a declination that is adjustable and uses a key for adjusting, which is placed at the transparent base plate. There is a mirror as well, but in addition to that there’s a small hole at the base of the mirror to add even more precision. This one also covers two zones (in the Northern hemisphere), but works just fine in both south and north hemispheres. The base plate has small rubber ‘legs’ to make sure it won’t be slippery in your grasp. The bezel ring is naturally illuminated so you can look at the compass even at night with no other light source. This compass definitely raises the bar by having an inclinometer, which helps in measuring heights and angles (including cliffs and other objects in your immediate environment). All the other features found in the above compasses are present in this one too, making it worth the extra dollars, for the quality you will receive. It goes with a lifetime warranty. This one is a high quality compass for professionals who are really looking for accuracy and precision. 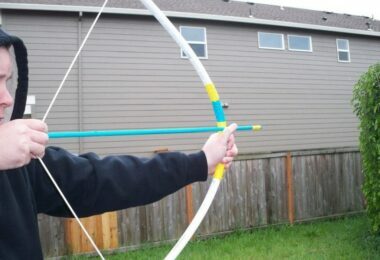 It’s been manufactured with advanced materials, much more durable. It’s got anodized alloy housing, jeweled bearing and the compass needle is placed in a dampened liquid, thus making it quick to point the north. It’s well-sealed and can withstand any weather conditions. The only downside is the lack of declination adjustment, but its more advanced model KB-14D has it. So, if you’re after an advanced, professional and extremely accurate compass you may want to turn to the KB-14D. This one falls into the professional compasses category. It has all the basic features, in addition to several more advanced, including a clinometer. It has a trigonometric chart to help with measuring the sine and tangent of an angle, thus making it far easier to calculate the height, steepness, triangulation and other environmental objects. It’s very good for field and professional work including survey and navigational work. The only small downside to this compass is that it lacks a lanyard. But you can still find something similar and tie it to your compass. Some people found the see-through hole on the mirror uncomfortable. In order to take the reading (bearing) you have to squint through the hole and this makes it slightly more difficult. Other users believe the price is a bit too high for the features in this compass, and doesn’t meet the expectations. 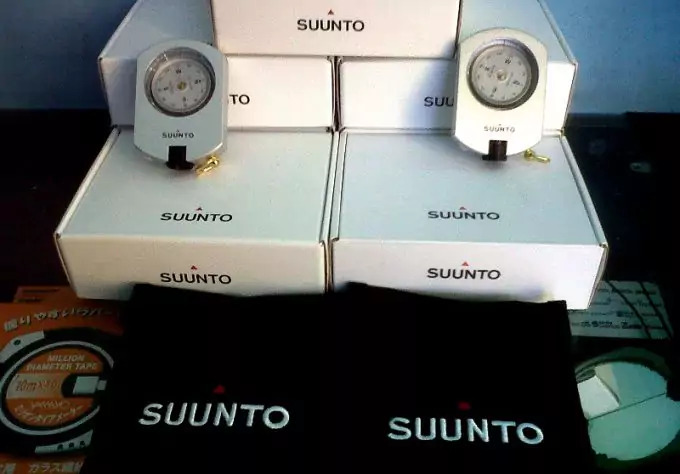 Nonetheless, most customers are very pleased with the accuracy of this compass, saying that the added weight make it feel more durable and solid. This is definitely a positive thing, since many compasses are made with light-weight material and are easy to break if dropped. 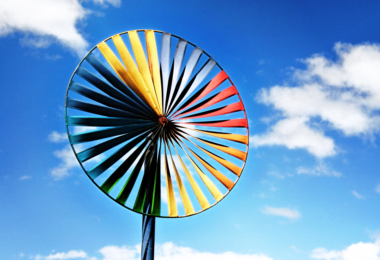 In this context, the rotating housing is made of metal, and not plastic, which adds to the solidity of this product. 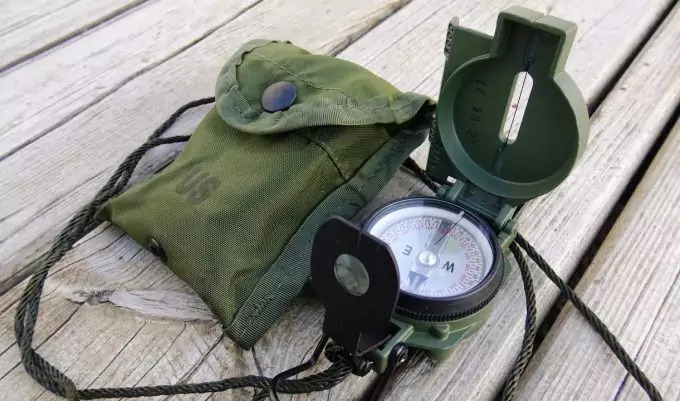 This one is as good as the previous Brunton Pocket Transit, but the Cammenga Olive Drab is a high-class compass, suitable for military use and is highly valued among military personnel. It is waterproof and has phosphorescent illumination for use in the dark. This compass model has to pass several tests for water, shock and sand-proof before it is released on the market. It is also tested for various temperature fluctuations, from -50 to +150 degrees F. Furthermore, the compass doesn’t use the traditional liquid housing, but has a copper induction system, which makes the rotation slightly slower, but nonetheless extremely accurate. The housing is made of aluminum, which is durable and water-resistant. Finally, it has a lanyard and can be carried on your neck for example, so you can keep it close at hand. We know by now that the modern day compass has three main components – the magnetized needle, plastic casing (round housing) and a transparent plate on which the housing and needle are placed. The needle’s north pointer is painted red, and the south – white. Thus, wherever the red point is pointing at – this is the north. The housing shows all four directions – north, south, east, west, including each 2nd degree between the directions. This may vary depending on the compass. The round (rotating) house has a single red line whereas the base plate has also a ruler and a red line, indicating the direction of traveling. In addition to all that, in order to properly use your compass you have to memorize the four (respectively the eight) main directions and which degree on the compass they correspond to. For example, 0 degree is north, 90 degree is east, 180 degree is south and 270 degree is west. All the intermediate directions e.g. south-east, north-west, etc are at a 45 degree distance from the main directions. With that knowledge you can have very little problems using an orienteering compass. 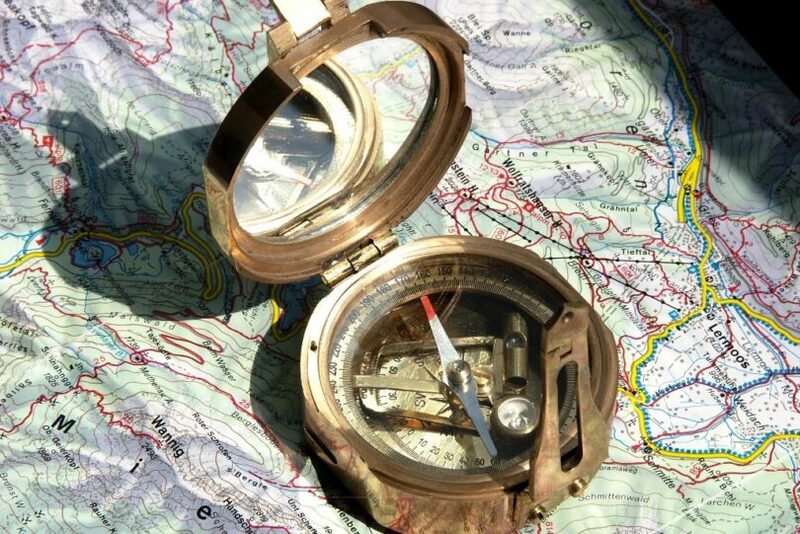 You should also look for these indications when purchasing a compass. Furthermore, you need to know that the magnetic needle is affected by Earth’s magnetic field. This means that the closer you get to the North Pole (that is, going towards the north), the more the needle will be literally pulled down. This will disturb the reading will get inaccurate. To avoid this manufacturers create special compasses that will work properly in North America as you get closer to North. Still these won’t work in South America. So, keep that in mind when purchasing a compass. Zone 5-Australia and New Zealand. Consider these zones whenever buying a compass.